Want to place bets on which outfit you're most likely to run into me wearing? It's definitely this. I've worn this exact combo an embarrassing number of times over the past couple of weeks. It seems like the perfect mix of fall outdoorsy clothes without actually looking like I'm heading to the duck blind for the day. Although, considering how delicious the duck was a friend cooked for me last weekend (while I was wearing this exact outfit, no less), I'm kind of wishing I had a duck hunting hookup. Or at least more friends who are willing to make me duck at the drop of a hat. I love it when you find that outfit you just want to wear every day. 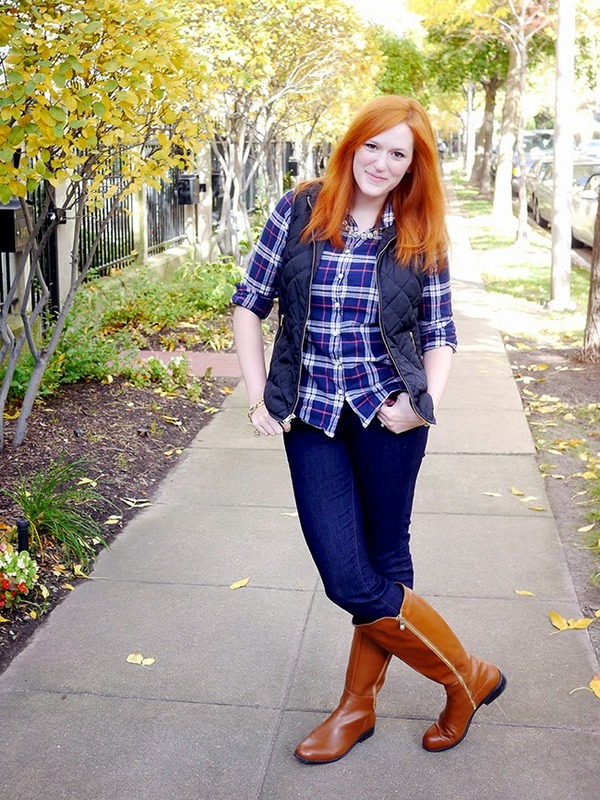 It does have that perfect balance of outdoorsy and put together, and I love those boots! 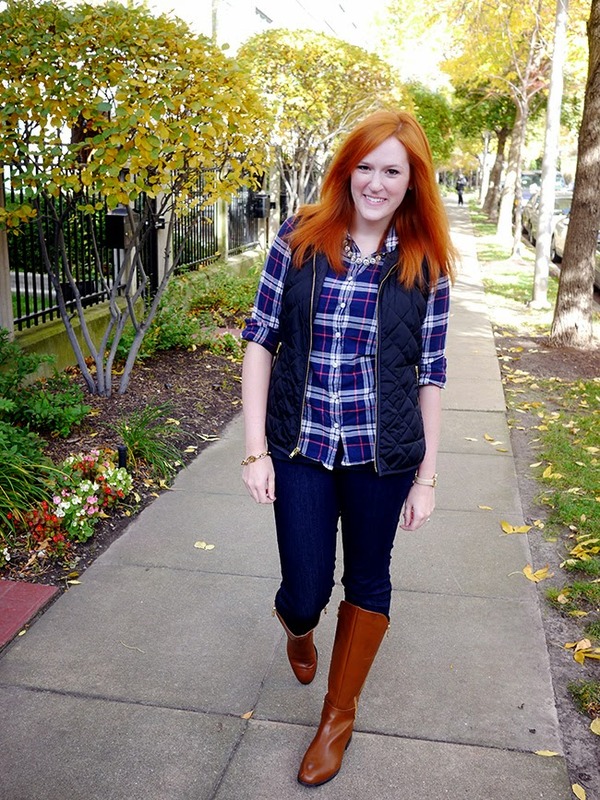 I totally need a cute quilted vest like this for fall—I love it! I love a good outdoors Vest. Jcrew has vests like these that are quie popular. I do like cozy fleece from Uniqlo and some of the long jacket looks that adorn fall outfits. With some black and sweatshirts in the mix. Love this outfit on you!! 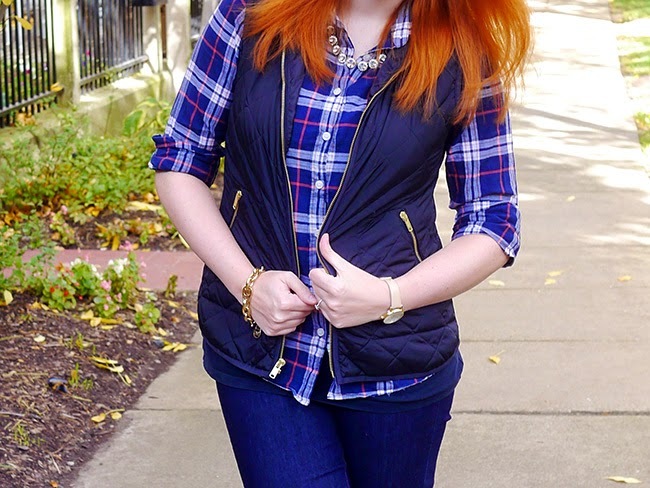 Your vest and plaid top are perfect together! Such a cute outfit! A new vest is definitely on my fall wish list. comfy and stylish! love these colors together! 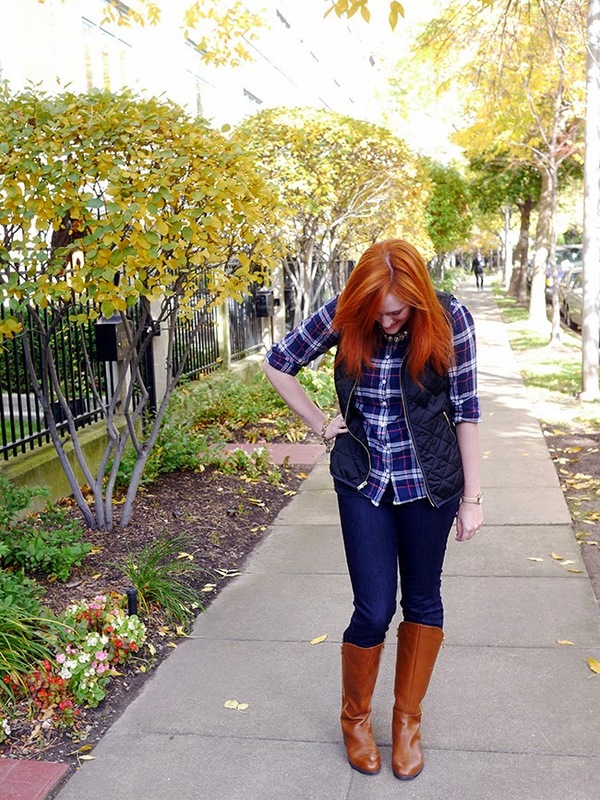 Love the plaid, a great fall look. Nice pics! You should go for it, it's currently on sale! Oh yes, I looked at the JCrew ones and realized that this one was basically identical. Ooo cute can't wait to see it!